If you are looking for foundation repair experts in the Clarksville, Maryland, area, you can end your search with Allmaster Home Services. Since 1987, we have been the go-to home improvement company for countless residents across the region. As a family-owned and -operated business, we pride ourselves on providing every homeowner with a customized solution to their unique problems, and as a result, have earned and maintained not only the support of the community but also an A+ with the Better Business Bureau. 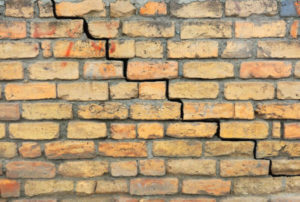 There are many reasons why you may turn to us for foundation repair services. Common issues that plague area homeowners include warped ceilings, broken or crumbling concrete, buckling or sagging walls or doors, moisture buildup, and more. Whatever the problem may be, you can trust that we can fix it. We will begin by scheduling a complimentary in-home consultation where we will thoroughly examine the affected area, and from there, we will formulate a solution that is designed to meet all of your foundation-related needs. For more information about the foundation repair services we offer to homeowners in and around Clarksville, MD, contact Allmaster Home Services today.